All Artwork is done in-house. Use your own artwork, or we can help create something for you. 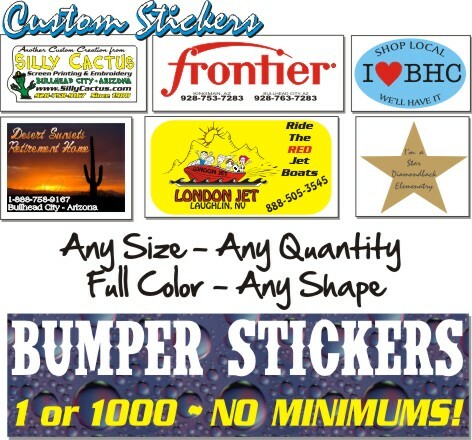 Custom Stickers are a great way to promote your business or club. Give us a call today and lets get started on your order!